I am far away from home and waiting for babies to be born! It is so different to not have children to take care of and feels sort of surreal! I got to cross something off my list tonight as I ate something I had never eaten before and we out to eat for Nepali food. It was very good and different. We had a couple different dishes. Great experience! I had to find something that was not fish to try! We cut out some receiving blankets and cloth flannel wipes to serge for the babies this afternoon and we will see if we get to sew a diaper bag. My cousin has been having alot of contractions so we will see. My Review: If you like ER or one of those types of medical shows, this was a fun book and i think I may let my sister who is an ER nurse borrow it as i think she would enjoy it! A nurse who has been traumatized by losing her brother in the ER where she worked is having trouble returning to work afterwards in her full potential. She instead is trying to help people who have also been through hard things with pamplets, information etc. The doctor in charge wants nothing to do with her pamplets and wants her simply to dig in and work, like an ER nurse. in spite of her best efforts to go elsewhere, she ends up back in the ER with a job to do. It was a fun enjoyable, light read. I read it during Track and field day and really enjoyed reading it.-Martha It is time for a FIRST Wild Card Tour book review! If you wish to join the FIRST blog alliance, just click the button. We are a group of reviewers who tour Christian books. A Wild Card post includes a brief bio of the author and a full chapter from each book toured. The reason it is called a FIRST Wild Card Tour is that you never know if the book will be fiction, non~fiction, for young, or for old…or for somewhere in between! Enjoy your free peek into the book! CANDACE CALVERT is a writer and ER nurse who believes that love, laughter, and faith are the very best medicines of all. After an equestrian accident broke her neck, she shared the inspirational account of her accident and recovery in Chicken Soup for the Nurses Soul, and her writing career was launched. Born in Northern California and the mother of two, Candace lives in the hill country of Texas. Dr. Logan Caldwell pressed the heel of his hand against Amy Hesters chest, taking over heart compressions in a last attempt to save the childs life. Her small sternum hollowed and recoiled under his palm at a rate of one hundred times per minute, the best he could do to mimic her natural heartbeat. A respiratory therapist forced air into her lungs. Dont die. Logan glanced up at the ER resuscitation clock, ticking on without mercy. Twenty-seven minutes since theyd begun the code. No heartbeat. Not once. Time to quit but . . .
Give another. Logan halted compressions, his motionless hand easily spanning the width of the two-year-olds chest. He watched until satisfied with the proficiency of the therapists ventilations, then turned back to the cardiac monitor and frowned. Asystoleflatline. Flogging this young heart with atropine and repeated doses of epinephrine wasnt going to do it. A pacemaker, pointless. Shed been deprived of oxygen far too long before rescue. Logan pushed his palm into Amys sternum again and gritted his teeth against images of a terrified little girl hiding in a toy cupboard as her day care burned in a suffocating cloud of smoke, amid the chaos of two dozen other burned and panicking children. But shes dead. With reluctance, Logan lifted his hand from the childs chest. He studied the monitor display and then nodded at the blonde nurse standing beside the crash cart. Run me rhythm strips in three leads, Sarah. After he drew in a slow breath of air still acrid with the residue of smoke, he glanced down at Amy Hester, her cheeks unnaturally rosy from the effects of carbon monoxide, glossy brown curls splayed against the starched hospital linen. Dainty purple flower earrings. Blue eyes, glazed and half-lidded. Tiny chin. And lipspink as a Valentine cupidpursed around the rigid breathing tube, as if it were a straw in a snack-time juice box. Picture-perfect . . . and gone. There was a long stretch of silence, and Logan used it to make his exit, turning his back to avoid another glance at the child on the gurney . . . and the expressions on the faces of his team. No good came from dwelling on tragedy. He knew that too well. Best to move on with what he had to do. Hed almost reached the doorway when Erin caught his arm. Claire Avery winced as a childs painful cry echoed up the Sierra Mercy emergency department corridor and blended with the wail of sirens. Almost an hour after the Little Nugget Day Care explosion, ambulances still raced in. Fire. Burns. Like my brother. No, please, I cant be part of this again. She leaned against the cool corridor wall, her mouth dry and thoughts stuttering. Being called to the ER was a mistake. Had to be. The message to meet the director of nursing didnt make sense. Claire hadnt done critical care nursing since Kevins death. Couldnt. She wiped a clammy palm on her freshly pressed lab coat and stepped away from the wall to peer down the corridor into the ER. Then jumped, heart pounding, at the thud of heavy footfalls directly behind her. What are you doing? he asked, grabbing his stethoscope before it could slide from his neck. But I, she choked, her confusion complete. But what? He glanced toward sounds at the ambulance bay and then back at her. He shook his head, his low groan sounding far too much like a smothered curse. If that questions existential, I dont have time for it. But if youre here to work, follow me. Erin Quinn will tell you everything you need to know. He pointed toward a crew of paramedics racing through the ambulance doors with a stretcher. A toddler, his tiny, terrified face raw and blistered behind an oxygen mask, sat bolt upright partially covered by a layer of sterile sheets. See that boy? Thats why Im here. So either help me or get out of the way. He turned and began jogging. Speechless, Claire stared at the mans retreating back and the nightmarish scene beyond: burned child, hustling medics, a flurry of scrubs, and a hysterically screaming parent. Help or get out of the way? What was she supposed to do with that ultimatum? And what gave this rude man the right to issue it? Claires eyes widened. Logan Caldwell? Sierra Mercy Hospitals ER director? No, not exactly, she hedged, refusing to imagine a reason shed need an introduction. But I think theres been a mistake. He thought Id been sent down here to work in the ER. Tell me hes mistaken. Claires knees nearly buckled with relief. Thank goodness. They need help. I can see that from here. She glanced at the ER, where patients on gurneys overflowed into the hallway. A nurses aide held a sobbing woman in her arms, her face etched with fatigue. Styrofoam coffee cups, discarded cardboard splints, and scraps of cut-away clothing littered the floor. All the while, the distant cries of that poor child continued relentlessly. CISM? Oh no. Shed forgotten. Why on earth had she included that? Yes, Im certified, but . . . How could she explain? Merlene had no clue that Claires entire futuremaybe even her sanitydepended on never setting foot in an ER again. It was the only answer to the single prayer shed clung to since her firefighter brothers death in a Sacramento trauma room two years ago. Being helpless to save him left her with crippling doubts, sleep-stealing nightmares, and . . . Shed mapped her future out meticulously. The move to Placerville, a new hospital, a new career path, no going back. Everything depended on her plan. Claire gritted her teeth. Though she still hadnt officially met him, there was no doubt in her mind that Logan Caldwell deserved his notorious reputation. Dr. McSnarly. The nickname fit like a surgical glove. Thank heaven she didnt have to actually work with himthe man looked like he ate chaos for breakfast. Claire hesitated outside the doors to the emergency department. Shed reviewed the summary of steps for an initial critical stress intervention and was as ready as shed ever be. Considering shed never done any peer counseling before. Im a fraud. Why am I here? She shut her eyes for a moment, hearing the din of the department beyond. It had been stupid to put the CISM training on her résumé. Shed taken the course last fall and participated reluctantly in the mock crisis situations, mostly because it would look impressive on her application for the clinical educator position. But afterward Claire knew that she could never volunteer as a peer counselor. Never. It felt too personal, too painful. Claire fought the memories. Yes, the counseling teams made sure that caregivers took care of themselves too, assessing them for burnout and signs of post-traumatic stress. Like difficulty making decisions, sleeplessness, nightmares, and relationship failures. Claire knew the symptoms only too well. Shed struggled with most of them herself these past two years, exactly the reason shed run away from that Sacramento hospitalafter refusing its offer of stress counselingand never looked back. But here she was at another ER door, peeking inside through a narrow panel of bulletproof glass. And now she was responsible for helping these people deal with everything she was trying so hard to forget and expected to offer the kind of counseling shed never accepted herself. Beyond ironicimpossible and completely at odds with her plan. Heal my heart and move me forward. Shed prayed it every single day. The essence of Sierra Mercy ER hit Claires senses like an assault. Sounds: anxious chatter, a burst from the overhead PA speakers, beeping of electronic monitors, inconsolable crying, and painful screams. Smells: nervous perspiration, stale coffee, surgical soap, bandaging adhesive, the scorched scent of sterile surgical packs . . . and of burned hair and flesh. No, no. Claires stomach lurched as she clutched her briefcase like a shield and scanned the crowded room for the charge nurse. Find Erin Quinn. Concentrate on that. She took a slow breath and walked farther into the room, searching among the eddy of staff in multicolored scrubstechnicians, nurses, and registration clerks. She forced herself to note the glassed-in code room, a small central nurses station and its large dry-erase assignment board, the semicircular arrangement of curtained exam cubicles with wall-mounted equipment at the head of each gurney, and the huge surgical exam lights overhead. When shed agreed to do this for Merlene, shed hoped this smaller ERmiles from the Sacramento trauma center and two years laterwould be somehow different, but nothing had changed. Especially how it made Claire feel, the same way it had in those weeks after Kevins death. Unsure of herself for the first time in her nursing career, shed been antsy, queasy, and clammy with doubt. Dreading the wail of approaching sirens and jumping at each squawk of the emergency radio. No matter how hard she tried, she couldnt shake the irrational certainty that the very next ambulance stretcher would be carrying someone she loved, someone shed be unable to save, and . . .
A child, maybe three years old, rested upright in a nest of blue sterile sheets, tufts of his wispy blond hair blackened at the tipssome missing in spotsreddened scalp glistening with blisters. One eye had swollen closed, and his nose was skewed a little to one side by the clear plastic tape securing a bandage to his cheek. The other blue eye blinked slowly as if mesmerized by the drip chamber of the IV setup taped to his arm. An oxygen cannula stretched across his puffy, tear-streaked face. Beside him, a stainless steel basin, bottles of sterile saline, and stacks of gauze squares sat assembled on a draped table. Burn care: control pain, cool the burn to stop it from going deeper, monitor for dehydration, and prevent tetanus and infection. All the bases covered. Unless the burns are horrific and complicated, like Kevins. Unless there is profound shock, heart failure, and . . . No, dont think of it. Claire exhaled, watching as Erin Quinn pressed the button on a blood pressure monitor and efficiently readjusted the finger probe measuring the childs lung status. She made a note on a chart and moved back to the bedside as the child stirred and cried out. Moms getting a bandage on her leg, Jamie, remember? she explained gently, then caught sight of Claire and acknowledged her with a wave. She called to another nurse across the room. Sarah, can you finish the ointment on Jamies scalp? watch him for few minutes? After giving a brief report to the petite blonde nurse, she crossed to where Claire stood. She hated herself. Erin Quinn was right. Claire needed to do whatever she could for these people. Somehow. She reached into her briefcase and grabbed a sheaf of glossy pamphlets. Yes, Ive been trained. And I can start an initial assessment, get things going in the process. I promise Ill do as much as I can to help, and . . . Her voice faltered as heavy footsteps came to a stop behind her. She fought an unnerving sense of déjà vu and impending doom. Help? A mans voice, thick with sarcasm, prodded her back like the devils pitchfork. 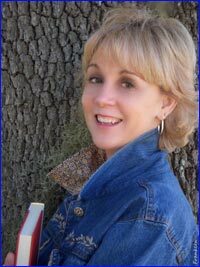 Linda Massey Weddle is a childrens author and regular contributor to publications including Womens Day and Christian Parenting Today. She develops Bible-based curriculum for young people and has been involved in childrens and youth ministry for the past twenty years. 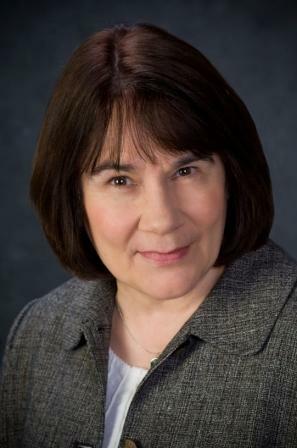 She has two grown children and six grandchildren and resides in suburban Chicago. developmenta journey in which parents and churches work together to raise kids who know, love, and serve the Lord. Much of the vision and purpose for such a journey is discussed in my friend Larry Fowlers book, Raising a Modern-Day Joseph. 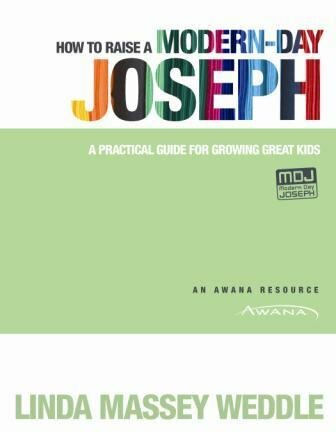 The book you hold in your handsHow to Raise a Modern-Day Josephfocuses more on the practical side of that. It gives parents a workable plan for putting this vision and purpose to work in their everyday family life. Like Larrys book, this one is needed because were in the midst of a crisis. The statistics stagger us as we read about, hear about, and see young people walking away from their faith.  our churches provide nurseries, Sunday school, vacation Bible School, Awana, youth ministries, and every other kind of kid or youth program imaginable.  our childrens ministry curriculum is more entertaining, colorful, and professional looking than ever before.  the market is flooded with Christian action figures, mugs, pencils, wallpaper, wallets, posters, linens, T-shirts, and toys, many decorated with clever Christian sayings.  radio stations play Christian music twenty-four hours a day, and television channels broadcast a never-ending selection of messages from both local churches and polished, smooth-talking televangelists. And heres an even tougher dilemma: Why does a kid from one home walk away from the Lord while a kid in another home stays true to Himyet the families in both homes have attended the same church, Sunday school, vacation Bible school, Awana clubs, etc.? What happened? Whats the difference? can absolutely guarantee that a young person will not walk away from what theyve been taught. So yes, unfortunately, children dont come with guarantees.  a future in an unimaginably perfect heaven. No, we as parents dont have guarantees, but we do know that children who grow up in strong, Christ-centered homeswhere Gods Word is both taught and livedare more likely to live godly lives as adults. But lets take a glimpse at whats typically going on in many families. I grew up as a preachers kid, and as an adult became a preachers wifeI know firsthand how often the preacher and the church get blamed for parental failures. Why? he asked. He could see our own two kids talking with friends nearby, so it wasnt them who had knocked down the womans son. So why was this his fault? Just as many parents leave the physical well-being of their children up to the church (the drop-them-off-in-the-parking-lot syndrome), so many parents do the same with their childrens spiritual well-being, training, and guidance: Drop them off in the parking lot and let the church do the nurturing (whether or not the parents are even in the same building). Maybe you feel this way tooat least to some extent. After all, you make sure your children go to church for every kids activity possible, so you figure the churchs pastors, teachers, and leaders are covering that spiritual training part of your kids lives. Youre busy doing other things, like working long hours to provide for your family, which is your responsibility. Lets review some essentials of what the Bible says about the family. The goal of Awana (the ministry I serve with) is to train children and youth to grow into adults who know, love and serve the Lord. Weve come to see that this is also an outstanding goal for parents in training their children. And as a biblical example of a young person who grew up to know, love, and serve the Lord, its hard to beat Joseph in the Old Testament. Not that he came from a perfect family. Most children know about Joseph. They know he received a unique coat from his fatherand our perception of that is a knee-length coat with rainbow-colored stripes. But why would grown men (his older step brotherssee Genesis 30:1-25) care about their little brothers multicolored coat? The Hebrew word here for coat refers to a full-length tunicsleeves to the wrist, the hem to the ankles. This was the style of coat worn by rich young men. They didnt have to work (they had slaves or servants to do that), and they had a position of honor both in the home and in the community. Josephs full-length coat was probably made of white linen, with bands of colorful embroidery as trim. By contrast, working men wore looser fitting, shorter garments so they could climb over rocks and take care of their sheepthey needed to move quickly and not be hindered by long clothing. So the brothers werent jealous of the colors of Josephs coat, but rather the implied position Joseph held in wearing such a garment. Joseph lived in Hebron. The word Hebron means community or fellowship. Joseph had fellowship with his father, but this wasnt a family who had a lot of fellowship with one another. I dont think dinnertime conversations were leisurely discussions about the price of sheep feed or the Hebron weather. The truth is, Joseph came from a dysfunctional family. This is obvious when you read in Genesis 30 about the intrigue involving his mother, his mothers sister, their servants, and drugs (mandrakeswhich were seen as narcotics or aphrodisiacs). Rachel and Leah were both jealous women who were willing to have their servants lie with Jacob so they could win the who-can have-the-most-sons race. And when Rueben brought home some mandrakes, Rachel desired them so much she was willing to sell Leah a night with Jacob to get her hands on them. This of course isnt part of the biography we read about in Sunday school, but these events are worth noting here. Out of this mess, the Lord brought Joseph, a young man who never wavered from the assurance that God was with him; a young man with a true heart-desire to know, love, and serve the Lord. We know that Josephs brothers sold him into slavery, and he ended up in Egypt. We know he quickly gained power and influence in Potiphars house, then quickly lost it when fleeing the temptations of Mrs. Potiphar. Yet even when put in prison, Joseph knew God was with him, and he remained faithful. Later, because he interpreted the kings dream, he was made a VIP and placed in charge of the entire land of Egypt. In that position, he was able years later to publicly forgive his brothers. Through it all, Joseph concluded that it wasnt his brothers who sent him to Egypt, but God. God had a plan for him, and Joseph listened to God and fulfilled His plansomething he was later able to testify about to his brothers: God sent me ahead of you to preserve for you a remnant on earth and to save your lives by a great deliverance (Genesis 45:7). Josephs life in particular reflected five godly character qualitieswell call them master life threads that were woven into the very being of who he was and how he lived his life.  Respect for the awesomeness and authority of God (Genesis 39:6-9.  Wisdom for living life, based on a knowledge of God (40:5-8).  Grace in relationships with others (41:51-52).  A sense of destiny and purpose that came from God (45:4-10).  A perspective for life based on the sovereignty of God (50:15-21). These master life threads are also desired characteristics in the lives of our own childrenas they learn to know, love, and serve the Lord. We know that Joseph loved the Lord because of the way he lived his life, refusing to be drawn into the temptations of a rich and powerful household, and because of his exemplary forgiveness toward the brothers who had wronged him: But Joseph said to them, Dont be afraid. Am I in the place of God? You intended to harm me, but God intended it for good to accomplish what is now being done, the saving of many lives. So then, dont be afraid. I will provide for you and your children. And he reassured them and spoke kindly to them (Genesis 50:19-21). And we know that Joseph served the Lordby making righteous choices, by administrating the seven years of plenty, and by giving food not only to the people of Egypt but to other countries as well. As the famine intensified, and the people cried to Pharaoh for food, Pharaoh responded, Go to Joseph and do what he tells you (Genesis 41:55). What Christian parent wouldnt want their child to grow up to be a modern-day Josepha young person who reflects those five master life threads, and who knows, loves, and serves the Lord? For many parents (and maybe this includes you), their children are already becoming Josephs. They do excellent jobs spiritually nurturing their children. They daily teach their kids Gods Word by guiding them toward recognizing the need to trust Christ, praying with them, reading the Bible together, encouraging Scripture memorization, explaining difficult words and concepts and talking about the qualities of the Christian life. Then they live out Gods Word in everyday life. They take their responsibility seriously. Then there are other parents simply dont think about their childs spiritual training. These parents flounder through life, not learning much themselves about what the Bible actually says, and they couldnt begin to explain the difference between Genesis and Galatians. Yet theyre law abiding citizens and church-attending Christians. They figure their kids will turn out okay. After all, they get their kids to Sunday school and even sent them once to a Christian summer camp. But the majority of Christian parents are somewhere in the middle. They desire to be spiritual nurturers of their children, but they dont know how. They might be intimidated that they might not say the right words. (What if my child asks me to explain eschatology or something?) Or they dont know where to find a plan that shows them how to be a spiritual nurturer. (They may not even realize they should have a plan). If our destination for our children is having a child who develops Joseph-like characteristicsknowing, loving, and serving the Lordwhats the itinerary or plan for that journey? The lack of such a plan often becomes the roadblock in our childrens spiritual developmentand getting past that roadblock is what this book is all about. This book is not a step-by-step itinerary, but more of an atlas where you pick and choose which stops to make in your own family journeybecause we know all families are different, with different schedules, different interests, and different personalities. Our desire is to give your family (and your church) ideaslots of ideas for helping to spiritual nurture your children. But as the parent, you need to devise the route. Its a plan that involves both parentsand the church as well.  pray with his children.  lead the children in Bible study and worship.  take an interest in what the child is learning at church.  teach his children Bible verses, Bible concepts, and Bible truths.  discuss challenging questions, cultural events and concepts with his children.  model a Christlike attitude in his daily life. Unfortunately in too many homes, Mom is by herself in doing all of this. Dad might drive the family to church, but he doesnt take any real responsibility in the childs spiritual development. If youre a father, know this: God has given you a job to do. Your responsibility is to do it. You cant expect your child to grow into a God-honoring adult when he sees you ignore the Bible, find every excuse possible to avoid church, and live a life thats inconsistent with what God says in His Word. Children need both parents involved in their spiritual training, and thats the basic scenario presented throughout this book. Its a sad situation when Dad is faithfully living for the Lord, but Mom doesnt want any part of it. Mom needs to be an active part of the praying, teaching, discussing, and modeling too. For example, sometimes Moms the one who spends a half-hour before or after school helping her children work on a memory verse, and when Dad gets home, he can enthusiastically listen to the children recite the verse. This is a joint effort. Both parents are huge influencers. You might be a single mom and already feel defeated because you dont have a husband to help you out. You can still teach your children from Gods Word and live an exemplary life. In your situation, the partnership of the church may be more important than usual. Hopefully your church has good male role models teaching younger children, so your children can profit from a masculine influence. A good example of one parent spiritually training a child is that of Eunice and her son Timothy (2 Timothy 1:4-5). Eunice did have the help of her own mother, Timothys grandmother, but she didnt have any help from her unbelieving Gentile husband. Timothys mom and grandma taught him the Old Testament Scriptures and exemplified godly lives. When the apostle Paul came along and taught Timothy about the Son of God and His sacrifice on the cross, Timothy was ready to trust Christ as Savior. Timothy became Pauls son in the faith (1 Timothy 1:2), and Paul recognized of the foundation which Timothys mom and grandma had laid. Many single parents do great jobs in spiritually training their children. If youre a single parent, or your spouse isnt interested in God and His Word, you need to surround yourself with likeminded adults who can give you and your children support and encouragement. In a real sense, spiritual training in the home is ongoing and never-ending. Its really a part of everything you do. Maybe your familys schedule is so complicated that you cant have a regular set time for spiritual focus, but you can still conscientiously meet together as a family to pray, worship, and learn about the Lord.  Sometimes families are diligent in having family devotions, but thats the only time their children hear about the Lord. Because Dad prays and reads a page from a devotional book, he feels hes taken care of his spiritual leadership responsibilities. Five minutes later, the children hear him swear when opening the gas bill, or see him confront a neighbor because the neighbors dog messed up the lawn. What he verbally taught is negated by the way he lives his life.  Families are different. One guy diligently teaches his kids from the Bible, helps them with their memory verses, and consistently lives a godly life, yet he feels guilty. He knows of another family that spends thirty minutes of concentrated training at the supper table each night, but his irregular work schedule doesnt allow him to do that. He is, however, doing a great job. We need to focus on our own families, not on what someone else is doing. In fact, the size of the church doesnt really matter. Mega churches have the money and staff to provide exciting programs for both parents and children, and those programs can be good. But smaller churches can be better at giving a child a sense of security, family, and nurturing that you dont always find in a larger church. So church size isnt important. What is important is the attitude of the church and the pastor toward kids. Does your church leadership really care about kids? Do they see the value in childrens ministry, and provide necessary resources to spiritually disciple children? Do they occasionally visit childrens or youth ministry times to give the lesson, answer questions, or simply greet the children or youth? Do they make an effort to learn the names of the kids, or do they know your three teenagers (who have been attending the church since birth) only as the Hansen kids? If your church doesnt see the importance of encouraging families, maybe you could be the catalyst to begin the initiative. After this books Part One (which focuses on giving parents specific age-appropriate suggestions for their childs spiritual development), Part Two will focus especially on practical ways the church can partner with you in this task. Be sure to explore whats presented in Part Two, and become familiar with ideas of how churches and families can work together. At the beginning of each chapter, youll find listed again the life thread to focus on for that stage in your childs life. By the way, if youre looking at this list and thinking, Great, but my child is already twelve years old!thats okay. Yes, youve missed some prime training opportunities, but you can catch up. Review the sections for preschoolers and elementary age children, and teach the principles to your child using explanations and activities appropriate for a twelve-year-old. Instead of regretting what you missed, focus on the present and look to the future. These concepts are good for all agesincluding adults. This section in each chapter lists the kinds of questions that kids in this age group typically ask about God and the Bible. Youll also find suggested answers to a few of the questions. These questions came from a Biggest Question Survey sponsored by Awana. A few years back, we asked 4,000 children and teenagers, Whats your biggest question about God and the Bible? These children and teenagers all had some Bible background (though, after looking at their questions, we surmised that some didnt remember much of it). Then we determined the most-asked questions for each age group. But dont stop with reading what other kids have asked; ask your own children for their biggest questions about God and the Bible. In this section of each chapter youll find a wealth of practical suggestions for what you as a parent can do to help in your childs spiritual growth in each stage. This begins with a short section about helping your child make the all-important decision to trust Christ as Savior. Here youll find appropriate Bible biographies and Scripture memory verses to explore and learn with your children. Sometimes we hinder more than we help. Each chapter includes this section where youll find common errors to avoid in each stage of your childs life. Each chapter also includes a checklist of basic attainments to look for in your childs spiritual development. Finally, the section in each chapter labeled Family Itinerary is a worksheet to help you develop your plan and goals for your childs spiritual journey in each stage. 3. Teach Emma and Jacob that the Bible is Gods book. 4. Teach Emma and Jacob that Jesus is Gods Son. 5. Teach Emma and Jacob that were to obey God. Heman in 1 Chronicles 25:57. Well learn how he and his family sang in the temple. Well learn a song together and sing at church. 1. Well watch a series of DVDs on Bible characters (a set we were given thats factual). 2. Well visit Grandma and Grandpa and look at their pictures they took in Israel. 3. Well study Josiah and other Bible characters who served God even though they were young. 4. Well do several crafts using natural materials from the outdoors as we talk about Gods creation. These will include leaf-tracings, pictures on sun-sensitive paper, and drying flowers. 1. Well build a birdhouse together and learn about ten birds in our area of the country, and well talk about creating a wonderful variety of birds. 2. Well make a mural for the basement wall of David watching his sheep. 3. Well invite Grandpa and Grandma to family night so they can hear Jacob and Emma say their verses. 4. Well make a book of all the different Bible biographies Jacob and Emma have learned at church this year. 5. Well visit the zoo. 6. Well make cookies for the lady down the street whos homebound. Our family has completed this years family itinerary and met our spiritual goals. This was a great looking bible study! I have not had the chance to go through it yet. But for personal bible study, i am really excited to be able to go through both of them. One of the ones I got, was about women of the bible and it really does an in depth study on each one and many of the things we would have common with them, while using scripture! I did think it would be hard to do it as a group study as each thing is laid out for a daily study and there is not group discussion questions for the week and it would be too long to go through all the info in a group setting at a once a week meeting. That said, I am really looking forward to to using these in my daily bible study! They are great in depth studies and if you were using them in a group setting with homework, they look interesting, fun and engaging! I am off on my trip here for the next week or two and will post some book reviews and maybe a blog post or two, but I doubt it! Anyhow, my relatives have been up visiting and it has been really nice! I got to see an old friend who is moving, but things have a bit tough to figure out for while I am gone with children and I am starting to think parenting is hit and miss type of situation. Some days you pass and other days you fail and you end up on your knees begging for mercy for your children as if they turn out I know it is nothing I am doing! <p> Other than that, there are so many mixed up things in life right now, I am putting one foot in front of the other and hanging on for dear life! But I am going to, with God’s help. i think the boys will all be taken care of, but it is a little mixed up too, so we will see! I was just on Facebook and saw that someone wrote a note that she decided to stop blogging, which was interesting to me, but it made me think because of her reasoning. Why do I blog? The reason I blog may not be for the reason you blog, or even write online. I look things in all of our lives, our books, internet, telephones, cars, bikes, whatever it might be….and see that all of us can take a thing and look at it differently because we are all created very differently. That may sounds really weird, but just think for a minute. I have extra children for the weekend and hope maybe i can get some cleaning done today! Off to work now that the ticket is bought! Where it seems like nothing has gone right? It sort of feels like that for the last couple weeks. I am scared of summer actually, because of how hard this last couple months have been for me. <p> Today I have all this cleaning I want to get done and so far, the vacuuming is not even done in the basement, and I think I burned up the belt because I vacuumed a crayon by accident and it stopped the beater bar Oh fun!! <p> You want to hear something else weird, I would love to buy a certain mop and I have been sitting and thinking about it and then i think how nice it would be to have certain cleaners, but I think I will just stick with what I have! I did break down and buy a big thing of new washcloths! <p> I am babysitting this weekend, my little brothers, but I think I am going to make a list of stuff that has to get done this weekend, each day and then we will go and do something fun when it is done. My aunt and uncle are coming for a visit next week and I am leaving for a couple weeks and I do not want to come back to a big mess! So far, I am working on vacuuming and laundry. Bathrooms are next and de-cluttering the laundry room! Well, on to the next task and praying that things go smoother so the house looks a tad bit better! Friday: Soup, bread- Chicken, potato, vegetable soup, I think….. I have to say right off that J.M. Windle has quickly, in the few books I have read of hers, become one of my favorite authors. She is now on that list where I will seek out and read everything she writes!! I loved and devoured this book! When I finished it, I felt like I had been to Afghanistan. The same with her other books I have read, they were so realistic and involved you in the story so much there was no setting this book down.